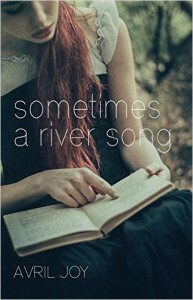 Water, imprisonment, women’s lives, their fight for freedom and to lead the best lives they can – these are the themes that run, like the river, through the story of Aiyana, a young initially illiterate southern girl of mixed race from Arkansas, who lives in a river community on the Mississippi in the 1930s. Her story is told in the first person, in a lyrical southern voice which convinces and compels from the first page. Avril Joy’s identification with the innocent quarter Indian Aiyana is so intense, in fact, that it feels rather like being interrupted in the middle of a conversation when, on page 98, the story is interspersed with the first person voice of Silas, the man to whom she is “given”. And it is clear too in Sometimes a River Song that it is the compassion for the women’s lives that speaks the strongest. The male characters are described, understood, used, but it is the women’s voices that have the most emotional impact. Sometimes the plot devices for some of the men can even seem to be driven by the needs of the women’s course in the book. Aiyana, called after the Wild Plum in bloom at her birth, is one of three children of Floyd Weir, a white man with the menace and strength of will to dominate not just his entire family, but his community of river people. His character is the epitome of abuse and repression. His family fear him and can do little against his beatings of them, nor his sexual abuse of his daughter Hetty. So insidiously toxic is this fear that their need for safety overrides, temporarily, what it is their spirits want. They are imprisoned. At one year old, Aiyana crawled from the deck of their boat into the river. Hauled out and brought back to life, she is haunted always by her lungs still being full of water, of fish living in her lungs – so vivid is the feeling of not being allowed to breathe, now being allowed to live her life. At times when she feels safe though, as with her coloured boyfriend December Lutz, she can let go and breathe without this feeling. Because she is sickly as a child, Aiyana is not educated at school as her siblings are, but she is utterly convinced, even before she can fully comprehend its significance, that being able to read is the key to her freedom. She can escape and survive away from this river community only if she can read. Her singlemindedness to this aim carries her through inveigling first her sister, and then December’s adoptive mother to teach her the alphabet, and then to read. Her ‘voice’ at first sweet, hesitant and supplicant becomes authoritative, the sentences fuller, once she is literate. She is on the path to freedom. The paradox of being imprisoned on a boat, which itself is moored on water which could reach the freedom of the sea, mirrors Aiyana’s internal conflict. She is held in this river home by the fear both of leaving, and of forsaking her mother and grandmother, both of whom have been worn down by life and by Floyd Weir. The child is close to her clear-seeing brother Lyle who urges her to leave with him, but twice this fails, and eventually Lyle leaves without her. She is imprisoned too by white supremacy racism, and secrets, her own and others, as well as the secrets held by the past. The grandmother, who lives in a boat across the river, is an Ojibwe Indian from the north of America and the guiding spirits of the past speak through her. Aiyana’s mother has a photo of herself as a young happy woman which for years she keeps secret. After she reveals it to Aiyana, the idea of the photo and what it represents remains with the girl, and the idea re-emerges later as a satisfying closing thread of the story. This book, with its hopes for Aiyana being dashed and thwarted so many times along the way, could so easily have fallen at the last, but the conclusion, brought about by Aiyana herself, whose spirit is unbroken, is triumphant. I felt, by the end, that I had been reading an epic tale, not a novel – rhythmic, mystical, poetic.